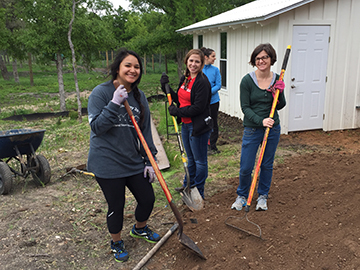 Our Austin headquarters office recently dedicated time out of the workday to help beautify the Community First! Village and the Austin Sunshine Camps. Portland staff volunteered at the Oregon Food Bank, at the SOLVE beach cleaning and participate monthly in Meals on Wheels services. Our office in Boulder recently teamed up with the City and County of Boulder to plan the First Annual Neighborhood Network and Community Clean Up. 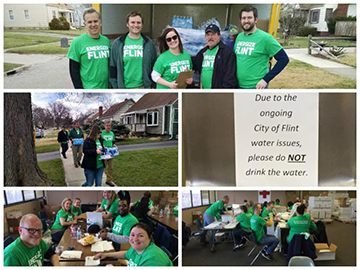 And to help with the water crisis in Flint, Michigan, our team there worked beside American Red Cross to "energize Flint" and aid severely impacted neighborhoods. _Green teams _ In an effort to enhance our sustainable actions, our company relies on a network of green teams to coordinate and plan local events for employees to participate in. Earth Month specifically is a time we like to organize special events to help celebrate and get employees thinking about how they can help save our planet. The Austin office designed a pledge tree, planted seedlings together in upcycled containers and also held an e-waste recycling drive. Our Portland office took an active role again in PDX Green Teams Unite, which joined green teams across Portland businesses to collaborate and celebrate the Earth through talks, tours, fairs, hikes and fun events. And the San Bruno, California office plans to take a company hike up Sign Hill Park. _Individual office conservation _ Beyond our work and community service, there is more we do internally to improve our sustainability practices. Some of these initiatives include using reusable dishware instead of disposables, equipping main offices with EV charging stations, and examining our own energy and waste usage by obtaining an annual audit each year. Additionally, our company offers incentives to employees to carpool or bike to work. 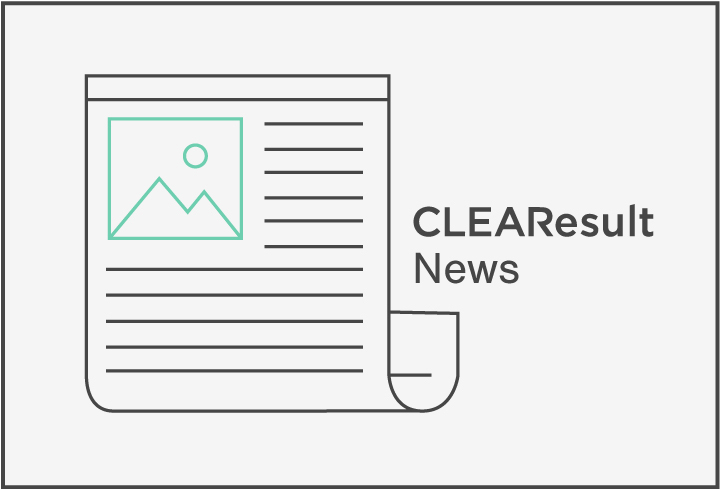 These actions recently landed two of our biggest offices building sustainability certifications. Although we may go out of our way to implement these practices, the outcome is definitely worth it! Not only do we save our business money, but we are also able to add comfort to our working environment. Currently, our offices are engaged in a little friendly competition in our first annual Energy Showdown. Those who took the pledge were required to commit to a variety of energy consumption tasks ranging from turning off their power strips at the end of each day to turning off the lights and working off of natural sunlight. At the end of the three week period, individual participants were entered to win a package of LED bulbs and a NEST thermostat. The winning region received the opportunity to donate a sum of $3,000 to their selected nonprofit organization. A core business objective is to protect our planet, not only through energy efficiency but also through aligning our company culture. For most people, Earth Day is celebrated only one day out of the year. 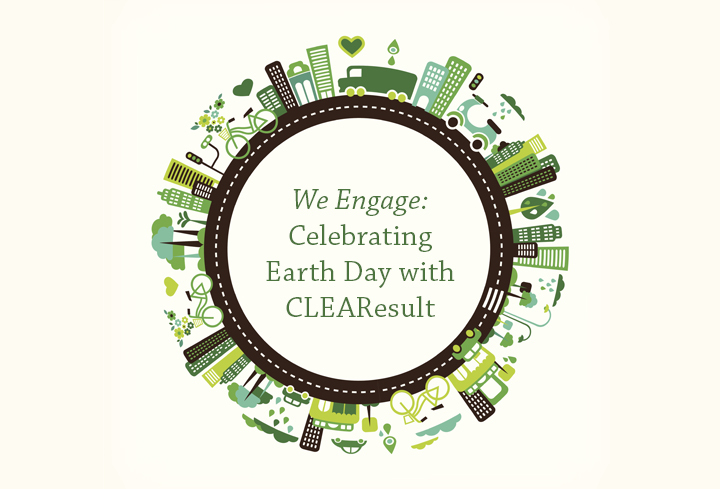 But at a company like CLEAResult, we have the satisfaction of having the ability to protect our planet all year round!